Kings of the Sasanian period (224-651 A.D.) are almost always depicted with a sword suspended from the belt, a motif appropriate to the victor in combat. 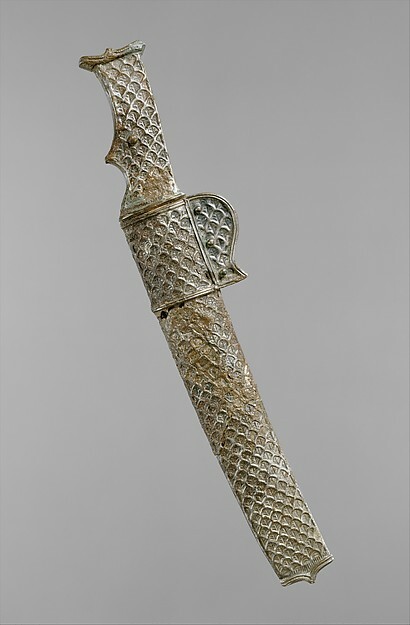 This iron sword with a gold-covered wooden scabbard is a splendid example of the type adopted by the Sasanians from the Hunnish nomads who roamed Europe and Asia in the sixth and seventh centuries, shortly before the beginning of the Islamic era. It has a long and narrow grip with two finger rests, and the scabbard has a pair of P-shaped projections to which two straps of different lengths were originally attached. The straps held the sword suspended from the warrior’s belt in such a way that it could easily be drawn even by a warrior on horseback. The sword itself is inlaid with garnets and glass, and a pattern of overlapping feathers decorates the surface. That a similar pattern can be seen on the helmet of a Sasanian warrior has led scholars to suggest it may be symbolic of the god of victory, Verethragna. 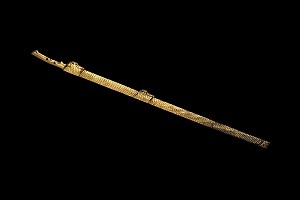 Several other swords of this type are known, some mounted in gold, some in silver. Stylistically and technically, they are all very similar, although the present example is by far the most elaborate of the group. Date: ca. 7th century A.D. Date: ca. 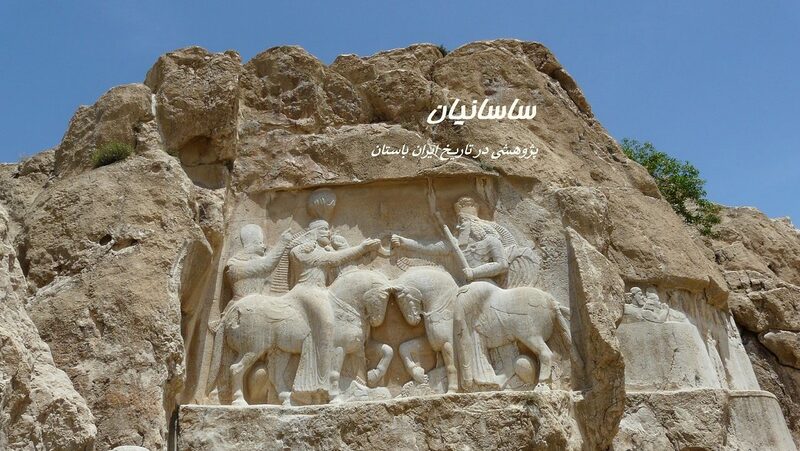 6th–۷th century A.D.